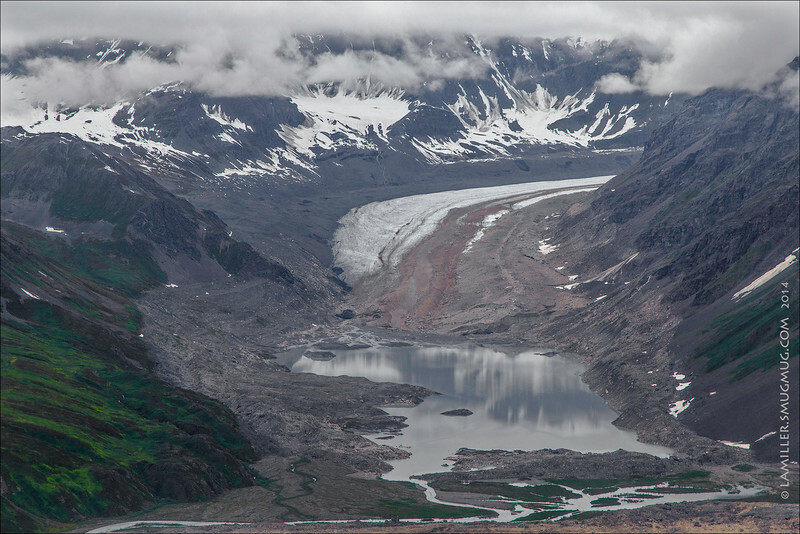 This glacier runs the backside of MtDickey to MtChurch, exiting here to the left side of Mt. Church. Denali National Park.